The insect setae is the yellow fiber running diagonally from the middle upper left to the lower right. The attachment is to the left. 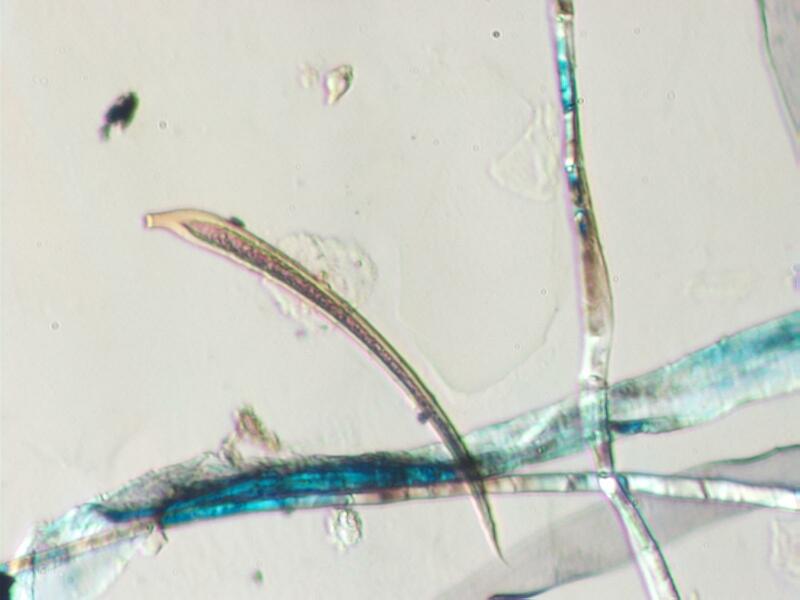 The setae has very low birefringence and an easily visible medula. The paper and clothing fibers are the moderately high birefringent fibers in this field of view.